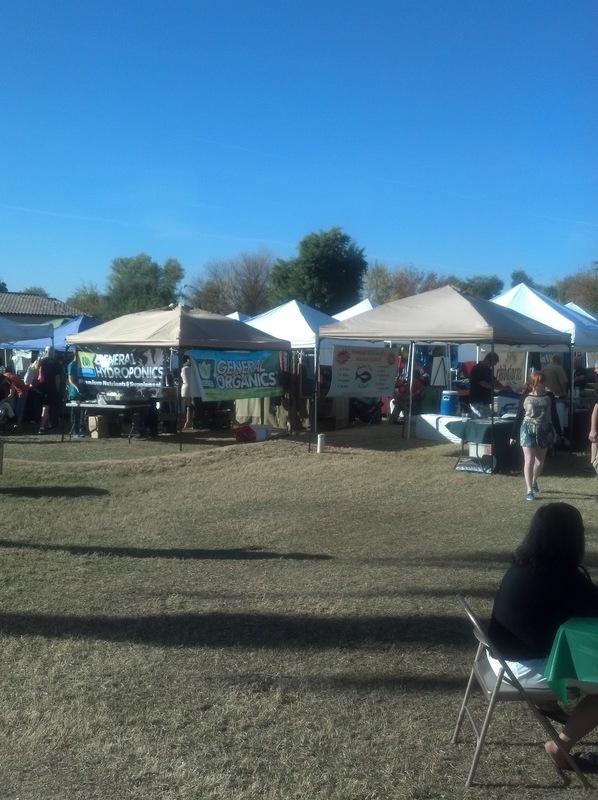 In a quest to buy as many of my Christmas gifts from local Arizona companies this year, I shopped at the Central Avenue Farmers Market this weekend. I was specifically looking for Absolutely Delightful Honey, which I tasted at the Desert Botanical Garden’s Chile and Chocolate Festival, but I didn’t spot them there. I was only able to find large, $30 jars of honey made in Florence by the Health Foodie. While the mesquite sample tasted great, I was looking for smaller jars. Among my finds were spices from AZ Saltz (623-556-7488) and handmade dinosaur-shaped puzzles for kids from Decorative Woods (602-264-2885). Decorative Woods’ owner said proceeds from the sales of toys would go to Operation Smile. I also bought some barbecue sauce from Reatta Foods in Scottsdale. Lastly, I tried out some coffee from the Shine truck, which does just as its name suggests. Not a bad Saturday morning!